The previous section dealt with various wer-animals from wer-bats to wer-jaguars. The Common Vampire Bat (Desmodus rotundus) is the very antithesis of common, for it is unique even among the unique. Bats (of which there are at least 925 species) are unique in that they are the only true flying mammals. Of this unique group, the three vampire species are unique in that they are the only mammals which live exclusively off the blood of other mammals and birds (and therefore can be called obligate parasites), and only Desmodus rotundus lives (essentially) exclusively off the blood of mammals; the other two species (the Hairy Legged Vampire, Diphylla ecaudata, and the White-winged Vampire, Diaemus youngi) specialize in birds. Desmodus is called the Common Vampire Bat because it makes up about 99% of the entire vampire bat population. Desmodus is also the only bat that can manoeuver agilely on the ground and take off vertically. 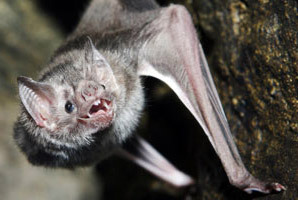 Other bats can scramble around on the ground, but they are very clumsy, while Desmodus can walk and hop about on two legs (even landing standing), or run nimbly on all fours, powering their run with the massive muscles of their forelimbs (another distinctive feature). When they are done with their ground work, they use those powerful forelimb muscles to leap about four feet into the air in a 30 millisecond jump, transitioning into flight in a fluid motion. This agility on the ground stems from the Vampire's size and its eating habits. It is very small – 2 3/4 inches in length (the size of a human thumb) with an 8 inch wingspan, weighing in at an ounce or less. Yet they stalk cattle and other large mammals. They land on the ground, walk up to the feet of their prey (and sometimes climb up the legs of their prey), and feed. Agility is a must when you can be stepped on by prey that may be 10,000 times your size. Their small size surprises people who have 'seen' vampire bats in horror movies, which are usually actually a species called flying foxes, which are large enough to have some visual impact. But their small size allows them to feed unobserved and quickly, less than twenty minutes to fill up, and return to the safety of their cave, where they live in a social environment. An adult Vampire Bat has a 7% chance of going hungry on any given night. Since bats may starve within 2-3 days, they live in social groups of one hundred to two thousand (mostly females as the males roost separately), which allows bats that hunted successfully to regurgitate blood to feed those whose hunt failed. It is from living thus perpetually on the edge of starvation that evolution has created the infamous vampire's 'thirst'. It is a deep instinctual drive designed to keep the bat alive, but which gives the human vampire a craving to feed on blood every day – an ache rooted in the most primordial survival center of the bat's brain that haunts the human vampire. This is the thirst that compels, that forms the dividing line between the master vampire, who endures the thirst, and the degenerate vampire who is rule by the thirst. The female vampire bats are a little larger than the males, but they look nearly identical to each other. They can be brown, gray, or brownish-red, but are usually lighter on the underside. Both sexes live about nine years in the wild, and perhaps twenty years in captivity. They mature sexually at about nine months of age, and mate throughout the year. The mother suckles her young for a month, then begins regurgitating blood for them until they supplement this by hunting for themselves beginning by four months of age. They will be full size in five months and are completely weaned by ten months, although they will nurse for up to nine months, six months longer than most other bats. The bats only need about two tablespoons of blood a day, but this translates into 60% of their body weight in blood (in most mammals, blood constitutes only about 6-10% of the animal's body weight). But the animal uses only the red blood cells – the rest is dead ballast, which makes flight difficult or impossible. When the prey's blood hits the bat's stomach, the blood plasma is rapidly absorbed and sent to the kidneys, then to the bladder, whence it is expelled by urinating. Within two minutes of beginning its meal, the Common Vampire Bat starts to urinate. Their need to eat at least every third day keeps them close to their food sources (they cannot transport or store food) and to warm climates (tiny bodies store heat less well than large bodies). Their original homeland may have been the hot and humid areas around Oaxaca and Veracruz, Mexico, but with the introduction by man of large herds of livestock (Vampire Bat heaven), they have spread throughout Central and South America. The omnipresent companion of man – the dog – does not make such a good prey because canines can hear a bat's high-frequency chirps and are alerted to the bats' presence. The Vampire's taste for cattle makes him unpopular with ranchers, but it has another disagreeable feature – it is a vector for rabies. Even walking into a cave filled with vampire bats can be dangerous because it is possible (though not common) for the rabies virus to be transmitted through the air. 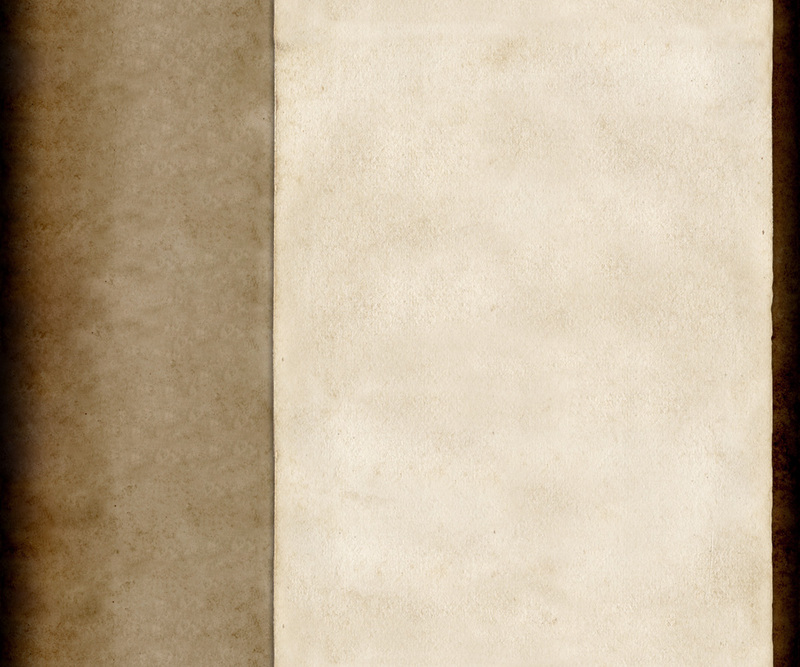 Of course, it is far more dangerous to be bitten by a bat – people blood has, indeed, been known to form part of their diet. In most rabid animals, there is some warning because of the animal's unnatural behavior – the frenzy/attack stage is usually obvious. But Vampire Bats do not undergo this behavior. Unlike any other animal, they can carry the rabies virus asymptomatically. They can have the virus without the disease. The virus, not harming their bodies, is allowed to live indefinitely in their systems. From the point of view of the wer-disease, this is most wonderful. Alone among the wer-animals the wer-bat, the vampire, is truly immortal. The fossil records show vampire bats already existing from about six to eight million years ago and prove there used to be more species of vampire bats and that they were more wide-spread (as far north as West Virginia and northern California) but never outside of the New World. 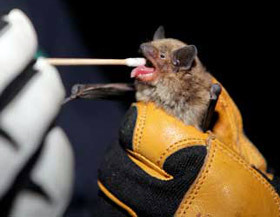 It is quite certain that the Common Vampire Bat provided the genes for the wer-bat (although final proof awaits genetic testing). One other possible candidate is the bat ironically named by scientists as Desmodus Draculae, almost certainly still living when Queztalcoatl was born. It was twenty-five percent larger than the Common Vampire Bat (which still makes it tiny). 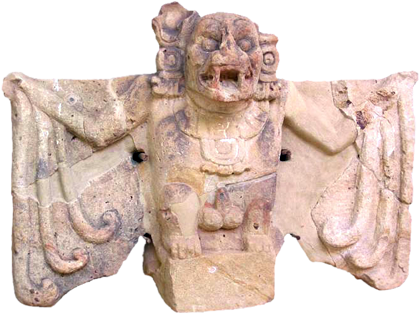 It has recently been associated with the Camazotz, the so called Death Bat, which appeared in a religious cult around 100 B.C., among the Zapotec Indians of Oaxaca, Mexico. It was a man-shaped monster with the head of a bat, and was associated with night, death, and sacrifice. This Camazotz, or "Sudden Bloodletter", has received a lot of press lately. It might lead us to conclude that Quetz left his vampiric genes in the Native American gene pool. The earlier Bat God can simply be associated with Quetz himself, but this much later appearance would imply some lingering vampirism among humans. They would, of course, all carry his phototoxicity genes, and so be day-shunners. Next we consider the only entirely speculative topic in this website – Aarrgh – a possible explanation for the origin of the wer-virus. This information is based on conversations by Jon with Laszlo and is based on Laszlo's recurrent (nightly) dreams, which he is convinced are leakage directly from Dracula's mind.